It’s a work night and the last thing you want to do is cook, right? You’re tired and lazy and you just want to spend the rest of the time lounging or watching a movie. But you get a phone call and your friend tells you they’re coming over for dinner. What do you do? Don’t ask yourself that anymore, because we’ve got quick-fix recipes that will fill your stomachs and wow your guests at the same time! It would take you just about ten minutes to make this. Scoop out some of the center of the avocados and dice what you removed. Cut some cherry tomatoes and mix it with bits of mozzarella, add balsamic and olive oil. 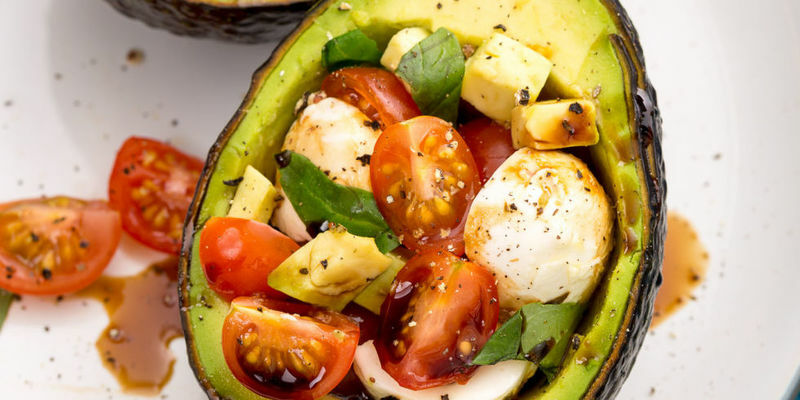 Stuff the avocados with the salad and enjoy! Mix together Greek yogurt, lemon juice and zest, mustard and dill. Then add shredded chicken, grapes, pecans and green onions, and flavor with salt and pepper. 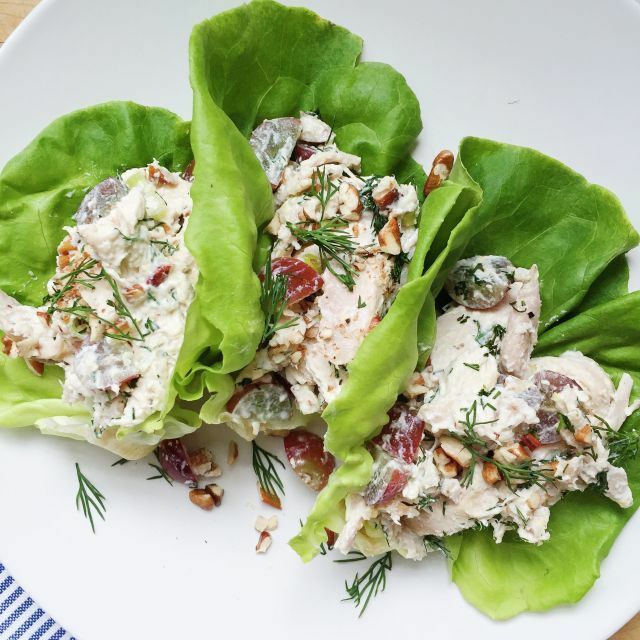 Spoon the salad onto lettuce leaves and serve! 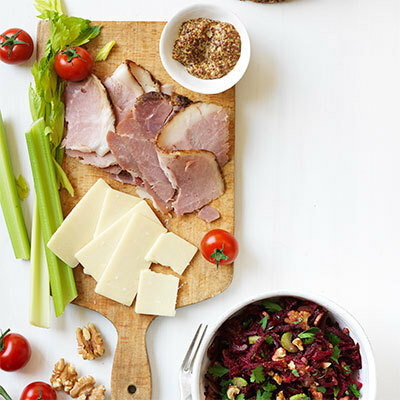 All you need is celery, beets, parsley, lemon juice and walnuts, and toss them up into a salad. Serve with sliced ham, cherry tomatoes, and bread. 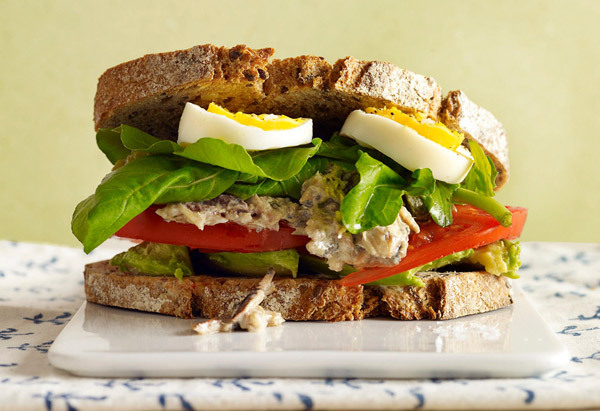 It looks fancy and is healthy, and is sure to leave you feeling good right after! Put together cucumber, onion, vinegar and a bit of salt and stir it every few minutes. Meanwhile, cut chicken into thick pieces. 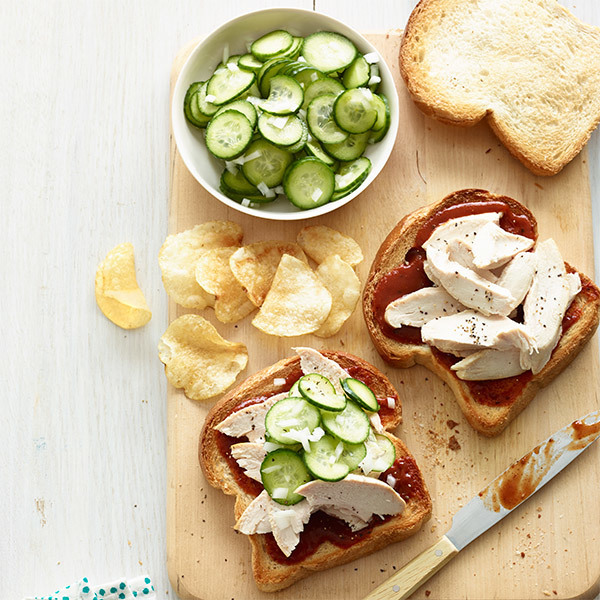 Spread BBQ sauce on toast, top it with the chicken and then add on the cucumber mixture. You could choose to serve it with potato chips, if you feel like it! Combine lime zest and juice with fish sauce and sugar in a small bowl. 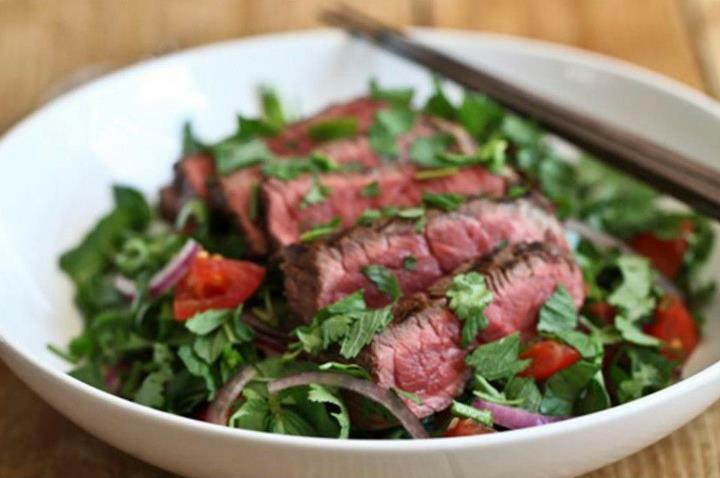 In a larger bowl, mix salad leaves, sliced cucumber, roast beef, cilantro and onion. Put together the contents of the small and large bowl and serve this delicious Thai dish. Is there anything the avocado cannot do? Blend cucumbers, avocado, yogurt, tarragon, lemon zest and juice, a bit of salt and some pepper until it is smooth. 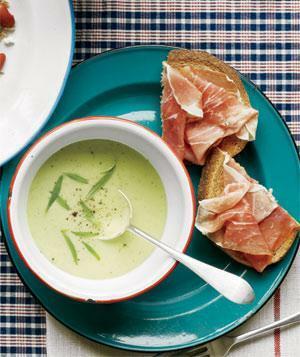 Toast some bread and top it with thinly sliced prosciutto, and serve with your cool green soup. 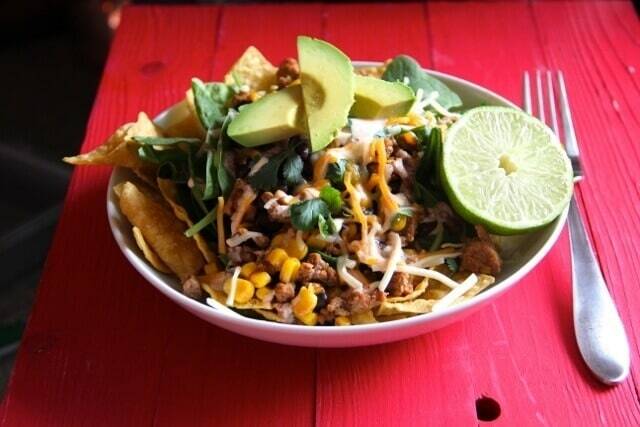 Salads are probably the most easy to put-together meals. Combine lime zest and juice, honey, garlic, ancho chile, cumin and salt, and whisk it in olive oil. Add red and black beans, peas, onion and smoked turkey breast and mix it up. Serve on top of lettuce leaves and sprinkle Cheddar cheese the way you like it! Blend tomatoes, garlic, onion, bell peppers and cucumber until it’s almost pureed. Pour it into a large bowl and add lemon juice, salt and pepper. 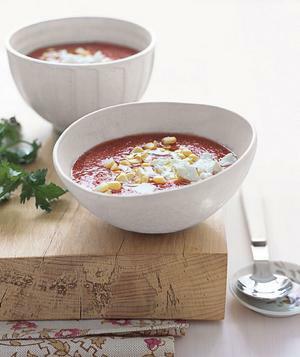 Top the soup with goat’s cheese, corn and cilantro, and serve with some toasted bread. Making food has never been this easy before! 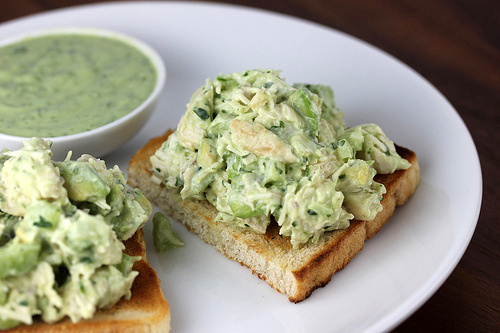 Chop up some chicken, avocado, apple, celery and onion and put them together in a bowl. Stir it and mash the avocado gently. Add cilantro, lemon juice, salt and pepper according to taste, and put in some olive oil if it seems dry. Spread this on top of bread to make a quick toast. The mixture can stay in your fridge for a couple of days, so make enough to use as leftovers the next day! If you tell us you don’t crave dessert after dinner, you’re lying!